Join us in Austin, Texas for this year's 2017 Texas Camp and Official Afterparty. A quick guide why content marketers should adopt Snapchat Geofilters as part of their Event Marketing strategy. Are You Ready for ADA Compliance 2018? 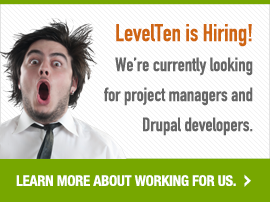 Join The LevelTen Interactive Team!